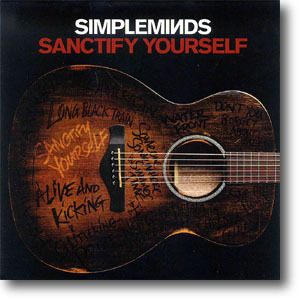 Sanctify Yourself was selected as the second single from the Acoustic album. It was released two months after the album and first single, capitalisaling on the success of both, and promoting the forthcoming acoustic tour. The accompanying press release also stressed the success of the previous releases, along with the band's successful appearances on BBC Radio Two's In Concert and Strictly Come Dancing shown on BBC One. One track and three track promotional CDs were issued in colour card sleeves. These included an edit, album and instrumental version of the title track. There was no video and no commercial download was issued.